Short in the leg but otherwise easy to get on, comfortable, with plenty of room to stretch. The collar is snug, while elastic and Velcro-strapped cuffs squeeze over a glove easily. The integrated storage bag – stowing away on the left breast – is somewhat bulky, with a strap designed so you can carry the bundle around your waist. 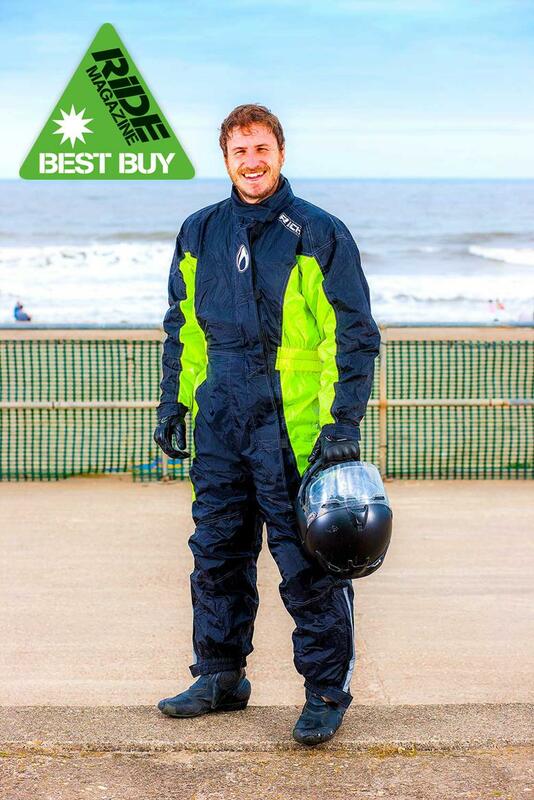 Other than that, this a great-value suit, especially given its perfect performance in the waterproof test. Buy the Richa Typhoon Rain Overall here.